MBP has experts with a detailed understanding of production technology who are able to analyse waste and by-product streams and assess their potential in different applications. This is how the Go Green scheme could look for your business. Why not contact us to find out more about how we can help your business go green? We take huge pride in identifying products that are normally considered as waste or a by-product from production and – by understanding the potential of this by-product – we will find its optimal application. By doing this, MBP not only reduces the waste generated in society but also reduces the consumption of primary raw material, as our by-product based products will often substitute the primary raw materials. 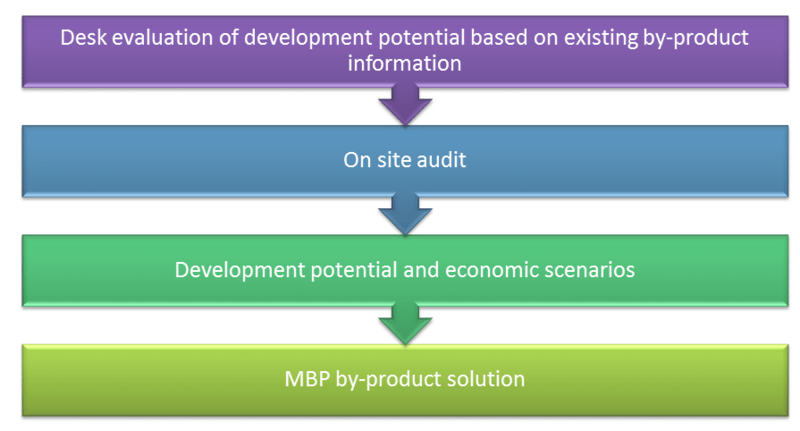 MBP’s many different experts will work with manufacturers’ technical people in order to understand how the by-products arise and to develop a suitable by-product strategy: a strategy that will optimise the potential of the individual waste and by-product streams in both the short and the long term.